Beatriz Caiuby Labate was born in São Paulo in 1971. She earned a bachelor’s degree in social science from the State University of Campinas (UNICAMP) in 1996. In 2000 she obtained a master’s degree in social anthropology from the same university, receiving the Prize for Best Master’s Thesis from the National Association for Graduate Studies in Social Science (ANPOCS). In 2011 she received her PhD in social anthropology at UNICAMP. She is co-editor of the books O uso ritual da ayahuasca (Mercado de Letras 2002, 2004 2º ed. ), O uso ritual das plantas de poder (Mercado de Letras, 2005), Drogas e cultura: novas perspectivas (Edufba 2008), Ayahuasca, Ritual and Religion in Brazil (Equinox, 2010), The Internationalization of Ayahuasca (Lit Verlag, 2011), Ayahuasca y Salud (Los Libros de La Liebre de Marzo, 2013), The Therapeutic Use of Ayahuasca (Springer, 2014), Prohibition, Religious Freedom, and Human Rights: Regulating Traditional Drug Use (Springer, 2014), Ayahuasca Shamanism in the Amazon and Beyond (Oxford Univeristy Press, 2014), Drogas, Política y Sociedad en América Latina y el Caribe (CIDE, 2015), Peyote: History, Tradition, Politics and Conservation (ABC/Clio – Praeger, 2016), Drug Policies and the Politics of Drugs in the Americas (Springer, 2016), The Expanding World Ayahuasca Diaspora: Appropriation, Integration and Legislation (Routledge, 2018), co-editor of the special edition Light from the Forest: The Ritual Use of Ayahuasca in Brazil (Journal Fieldwork in Religion 2.3, 2006 – published in 2008), author of the book A reinvenção do uso da ayahuasca nos centros urbanos (Mercado de Letras, 2004), co-author of the book Religiões ayahuasqueiras: um balanço bibliográfico (Mercado de Letras, 2008), translated into english as Ayahuasca Religions: A Comprehensive Bibliography and Critical Essays (MAPS, 2009) and Música Brasileira de Ayahuasca (Mercado de Letras, 2009), translated into English as Opening the Portals of Heaven: Brazilian Ayahuasca Music (Lit Verlag, 2010). She is also author of several peer reviewed articles. Currently she is Visiting Professor at the Center for Research and Post Graduate Studies in Social Anthropology (CIESAS), in Guadalajara, Mexico. She is co-founder of the Interdisciplinary Group for Psychoactive Studies (NEIP) and editor of its site (www.neip.info). She is also Research Associate at the Ayahuasca Defense Fund (ADF, http://ayahuascadefense.com). 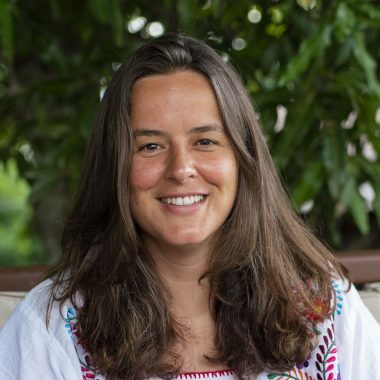 In 2016, she co-founded, with Alex K. Gearin, kahpi (www.kahpi.info), an online ayahuasca learning hub, and chacruna (http://chacruna.net), a venue for publication of high-quality academic short texts on psychedelic plant medicines.